Weston Memorial’s own Principal Madarasz was recognized as one of Canada’s outstanding principals. As your kids head back to school next week, pity the caretakers and builders who have been working through the summer. The province released numbers about the state of repair of all of Ontario schools. It’s not great. CR Marchant is in critical condition–in worse condition than 95% of all the schools in the province. The TDSB is at pains to say that the schools are perfectly safe. Schools need repairs, but no students are in danger. Parents and citizens can see the shortcomings on each school’s website. CR needs repairs to its HVAC, roadways, and play areas among others. Despite being in better condition, Weston Memorial has many “urgent” needs, including water distribution, the roof, floors and doors. 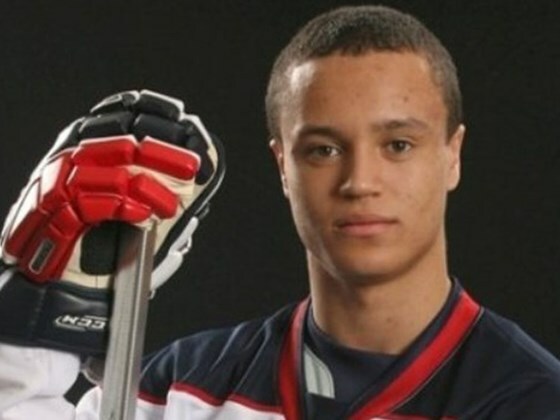 A memorial hockey game will be held in Weston this weekend to remember Terry Trafford, the young man from Weston who took his own life in the winter. The event will be raising money for Kids’ Help Phone. A number of community groups, teams, and individuals have donated to in memory of Trafford, and the Weston Minor Hockey League and a number of teams gave considerably. So far, they have raised nearly $2200. The organizers hope to raise more money at the game with a charity raffle and barbeque. The game, barbeque, and raffle will be this Sunday, May 11, starting at 10, in yard of Weston Memorial, which Trafford attended. Chris Tonks, the school trustee for our district, opposes the sale of land around Pelmo Park school. He says, however, that the possible sale of school land around Toronto is because the the Ministry of Education is drying up capital funding for schools, and there is “some immediate need” for capital funding. Tonks said that the schools in Weston are “very well enrolled” right now, and that HJ Alexander is “bursting at the seams” because of an influx of former St John the Evangelist students. He said that he wants to keep the green space around Pelmo Park intact to accommodate future students, since the redevelopment in Weston may lead to increased enrollment. “Pelmo Park is really the only site we have capacity to expand. I don’t think we should sacrifice that capacity. If we sever and we lose that, where are we going to get that greenspace to build?” he said. I tried to get Laura Albanese’s response, but she and I played phone tag over the past few days. I missed two of her calls because I was out. She was in a meeting when I called her back. Safe As Houses, by Eric Walters, is ripping good story about Hurricane Hazel and its effects on three kids who are stranded in a house slowly being flooded. Weston and Etobicoke figure prominently–Roy’s house, in fact, is only a few feet from where the story takes place, and one of the characters, David McBride, shares the name of the man who owned my house before me. Elizabeth Hardy, the protagonist and narrator, is a 13-year old just starting to grow up. She splits her love between Donnie Davis (a boy in her class) and Elvis Presley; she babysits David and Suzie McBride every day after school to save up for his albums. The McBrides have just moved from the big city, Toronto, to the sticks, and David, the eldest, is still angry about it. His relationship with Elizabeth is strained: he is almost old enough to take care of himself, but he cannot behave well enough. The story takes place after several days of torrential rain, just before the Humber River reaches its peak. The children walk home from school—presumably Weston Memorial—in the lashing storm and cross a footbridge, which, when it is destroyed, will separate them from rescue. What unfolds is a night of progressing horror. Elizabeth wakes up to find water up to her knees. It continues to rise, threatening and terrifying the children. Like the best horror movie monsters, the river is one dimensional, indestructible, and pitiless. It knows nothing but how to rise. The book is written for young adults, but I enjoyed it and stayed up long past my bedtime to finish it. The story starts a little slowly and the characters are, at first, drawn a bit broadly—but suitably for a young-adult audience. Before I read Safe as Houses, I thought of the Hurricane Hazel disaster as an abstract catastrophe that was the result, primarily, of bad city planning. This book opened my eyes. The hurricane was an epic natural disaster, and it is described grippingly in the last third of the story. The deaths of passing characters are haunting, and give a human dimension to the statistics: 32 people in Weston died, and 81 were killed in Toronto.